J Dilla’s forty-fifth birthday - and there were a lot of tributes on social media. Many non-Hip-Hop fans might not be aware of his work but he not only had this incredible solo career but worked with a range of other artists. He emerged in the 1990s and was part of the underground Hip-Hop scene in Detroit. Among the luminaries he worked with were A Tribe Called Quest, De La Soul; Erykah Badu and The Roots. J Dilla (or James Dewitt Yancey to give him his real name) died of a blood disease, thrombotic thrombocytopenic purpura in 2006 and the world was stunned. Not only were people deprived of this incredible talent but he died so young: he was only thirty-two. J Dilla met Detroit musician Amp Fiddler in 1992 and – under the name Jay Dee at that stage – he worked alongside MC Phat Kat – they formed 1st Down and they were the first Detroit Hip-Hop group to sign with Payday Records – a deal that ended after one single when the label collapsed. By 1996, he went on to record the album, Fan-TastTic Vol. 1, as part of the group Slum Village. That album helped bring Jay Dee to the public consciousness and was a huge hit in the Hip-Hop community. Q-Tip (of A Tribe Called Quest) felt 1st Down could succeed A Tribe Called Quest – Jay Dee felt uncomfortable with this comparison. He, in the mid-1990s, worked on a number of singles and remix projects; working for Janet Jackson, De La Soul and Busta Rhymes. “And while plenty of rap and R&B artists have absorbed his influence-- from fellow Detroit resident Black Milk's excellent Tronic to Kanye West's production on Common's Finding Forever-- his influence isn't limited to hip-hop and neo-soul. Flying Lotus picked up on elements of Dilla's style for his 2006 debut album 1983-- underwater basslines, stripped-down snare-tap percussion, bristling synths, textural hiss-- and has been boldly mutating them into a new strain of b-boy IDM ever since, culminating with this year's expansive Cosmogramma. He's at the vanguard, but he's not alone; artists on L.A. labels like Brainfeeder, Alpha Pup, and Proximal Records have hit creative paydirt by siphoning Dilla's ear for rhythmic suppleness through electro, dubstep, and ambient funk”. “His immaculate sense of rhythmic interplay and carefully built atmospherics were what put him in the upper echelon of producers in the late 1990s, and his creative restlessness and experimentation were what kept him there through the 00s. He was never content to wring every last drop out of one of his stylistic phases, opting instead to move on once he felt he'd hit a particular zenith. This left him with a body of work that was a succession of distinct yet naturally progressing phases, exploring and evolving where other great producers were merely content to inch forward or simply maintain”. “One of the more contentious moments in Dilla's career is an issue of attribution. Yancey claimed co-authorship of this song alongside Tip and Ali Shaheed Muhammad, and the original version of "Got 'Til It's Gone" bears all the hallmarks of the Ummah style: neo-soul electric pianos, subdued kicks paired with prominent snares, and bass that burbles so thickly that it flows instead of pops. But the official production credits name Jackson, Jimmy Jam, and Terry Lewis alone. The revenge in question, then, is simply a matter of cranking up those aforementioned trademarks until the source is unmistakable. The bassline congeals, the keyboards are run through a rippling wah-wah, the titular Joni Mitchell loop fades in and out of focus-- it's the difference between a neon sign and a lava lamp”. There have been very few albums, Hip-Hop or otherwise, that have been quite sample-heavy over the past couple of decades. I think about the late-1980s and early-1990s for those rich and ambitious records that take these disparate cuts and fuse them together into something wonderful. There were great sample-rich albums through the 1990s but it sort of stopped by the early-2000s. 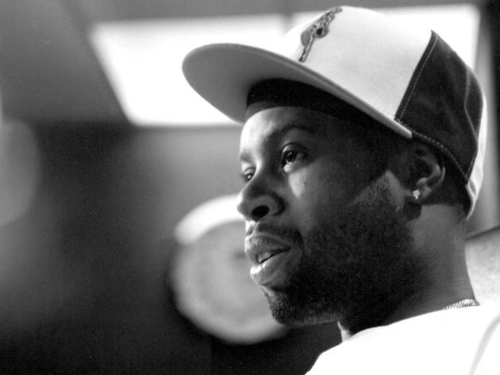 There have been posthumous J Dilla records but Donuts was released around the time of his death in 2006. By 2002, J Dilla has been diagnosed with thrombotic thrombocytopenic purpura and he knew it was incurable (the disease is terminal). The idea for Donuts occurred whilst J Dilla was in hospital in 2005. The album is an instrumental Hip-Hop album and, whilst it is not as overloaded with samples as some of the classic Hip-Hop albums, the way the samples are used and moulded is extraordinary. In many ways, it is sort of like nothing else around: most albums that used a lot of samples and instruments contained vocals and some sung passages. In a way, it is like scanning between radio stations because each of the thirty-one tracks last between one and one-and-a-half minutes (some tracks are a bit longer). The album starts with an outro and ends with an intro; there are all manner of wonderful sonic moments and it allowed J Dilla the chance to do whatever he wanted with samples and produce the record he wanted to. The ending of the final track is an infinite loop: it goes along with the donut (doughnut) concept and the fact that it is circular and never ends. Its legacy is undeniable, too. Listen to a host of producers today and you can hear elements informed by the work of Dilla, from Clams Casino through to Hudson Mohawke. And beats from ‘Donuts’ continue to be sampled for fresh use amongst contemporary rappers: members of Wu-Tang Clan, Drake and Big Pooh have turned to these 31 cuts for still-fresh sounds to contextualise anew. Pitchfork deemed ‘Donuts’ worthy of a 10/10 on its 2013 reissue, while Clash has previously celebrated its brilliance in our Essential 50 of 2009 (here). And we see no reason to not continue our love affair with such a remarkable record. “It's fitting that Motown echoes, a predominant theme, are often felt, from the use of Dionne Warwick's Holland-Dozier-Holland-written "You're Gonna Need Me" (on "Stop"), to the shifting waves of percussion plucked from Kendricks' "People... Hold On" (on "People"), to the Stevie-like piano licks within Kool & the Gang's "The Fruitman" ("The Diff'rence"). Most of the tracks fall into the 60-90 second range. It's easy to be overwhelmed, or even put off, by the rapid-fire sequence, but it's astounding how so many of the sketches leave an immediate impression. By the third or fourth listen, what initially came across as a haphazard stream of slapped-together fragments begins to take the shape of a 44-minute suite filled with wistful joy. Like everything else Dilla has ever done, Donuts is not defining; in fact, elements of its approach bare the apparent influence of Jaylib collaborator Madlib. His mode has always been too slippery and restlessly progressive to be equated with any one track or album, but Donuts just might be the one release that best reflects his personality”. This great article shows how J Dilla managed to change the future and have a big impact on the Jazz community; this Wikipedia page shows just how influential the album was and how, in many ways, it continues to inspire artists. “In the years following the album’s release, “Donuts” has become a classic. Ranked 66 in Pitchfork’s Top 200 albums of the 2000’s list, the album has a vast influence on the hip-hop genre today in the work of amateurs and professionals alike. Musicians such as Knxwledge, the producer behind Kendrick Lamar’s song “Momma” on “To Pimp a Butterfly” and Adult Swim collaborator Flying Lotus — both groundbreaking artists in their own right — have stylistic foundations steeped in J Dilla’s work. Dilla’s influence on artists within or without the hip-hop community through music arguably surpasses that of any other hip-hop artist, except for The Notorious B.I.G. and 2Pac. The artists whom his music influenced vary from Joey Badass, Big Sean and Common to Ghostface Killah, MF DOOM and The 1975. Surprisingly enough, one of J Dilla’s homagers isn’t an artist at all. Adult Swim’s famous bumper music, which plays during breaks in the programming, has included both tracks from “Donuts” and from Dilla’s posthumous albums. This homage showcases the song to a demographic largely unfamiliar with J Dilla or his music. In the music magazine Pitchfork, Nate Patrin writes, “Dilla threw everything he’d known into this album and wound up delivering a simultaneous farewell and magnum opus three days before his passing; we should all be so lucky to produce something this moving in the face of our own mortality.” J Dilla’s music in “Donuts” embodies his legacy, and it is one of the best anyone could possibly hope for”. “For 43 minutes across the 31 tracks of Donuts, released ten years ago this week, J Dilla breaks and rebuilds samples in a way that breaks and rebuilds the way you hear music. While the music is sample-based, the sources aren’t so much looped as they are transformed into molecules of sound. Dilla’s production turns tracks into convection currents, samples roiling in and out of the mix. And unlike any other instrumental hip hop album you’ve heard, you never once want, miss or even expect a single bar from an MC, let alone 16. Without question, it’s the high point of instrumental hip hop. It was also the last album Dilla would make. Its influence has never waned. Five years out, his reach was long, his grip on hip hop – both indie and commercial – as strong as ever. Just listen to two Kanye West beats, a producer Dilla greatly admired, one five years pre-Donuts, one five years post. First, cue up to “Izzo (H.O.V.A)” from Jay-Z’s The Blueprint, one of Kanye’s first major commercial beats. The beat is inspired, no question, and catchy as hell, but hear the relative reverence for the Jacksons sample. Now listen to “Otis” from 2011’s Ye and Jay reunion Watch the Throne. Hear how chopped and jolting it is, how little deference is paid to the loop, to the sanctity of Redding’s voice. It’s garbled, warped, bleating. That’s a donut”.